The Chatterbox SMG is one of the best Exotics in The Division 2, but first, you’ll need to find the parts to build it. You need to craft this weapon, but there is a bit of RNG involved to find the parts. You’ll have to search for Hyena caches to find Exotic components, so check out our guide on where to find Hyena keys. You’ll need to open at least three of the caches to find parts and a blueprint for The Chatterbox SMG. The higher your level, the better the drop chance, so just keep looking until you find what you need. The Chatterbox SMG comes with some impressive perks, so make sure you’ve upgraded your Crafting Table to World Tier 4 to make the most of it. Incessant Chatter – every shot landed grants 1% rate of fire to a max of 60%, which resets on reload. Box Mag – kills with this weapon refill 20% of its magazine and grants a buff for 10 seconds. While buff is active, every shot landed increases mag capacity by one to a max of 60 and killing a target consumes the buff to fully refill the increased mag. Blabbermouth – while holstered, reloading your weapon within five seconds after a kill grants 20% rate of fire for 10 seconds. You can find an Exotic piece in the Grand Washington Hotel mission. There’s a cache hidden in the toilet area under a sink. Another can be found just as you come out onto the roof to the right of the door. The second piece can be found in the Jefferson Trade Center Mission. Play through until you get to the underground car park, then head to the loading bay at the back to find another cache. You can also visit this area in Freeplay to find other caches if it doesn’t spawn here. The caches reset so go away and do something else for a while then revisit the area. Next, head to the police station at Judiciary Square. 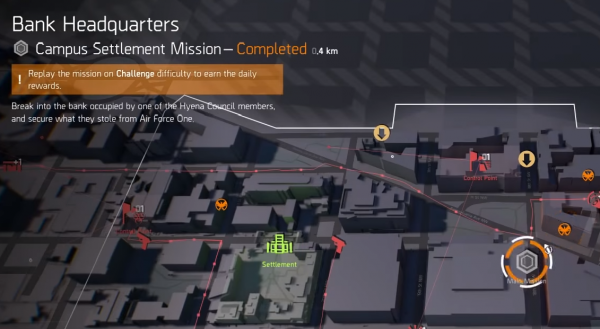 This can be done in Freeplay so don’t worry about launching any missions. Go through the courtyard and to the side with the two doorways. On your right, there will be an elevator shaft, so go all the way to the bottom. Make your way through the car pack until you reach the mounted turret, where there will be a Hyena cache behind it. There are other caches in the area, so search those if it doesn’t drop here. To find the blueprint, head to the Bank Headquarters Campus Settlement Mission. Play through until you reach the room with the large window and several computer desks. On the left side of the room, there is a small hidden wall safe near the partition wall. You need to be right in front of it to see it, so face the wall and shuffle until the prompt appears. Open the panel and inside there will an RFID key card you’ll need to open a door later. Keep going until you reach the Vault and go to the left once inside. You’ll see a golden gate that you can open by using the key card on the right-hand side of the door. Inside you’ll find the final Hyena cache with the blueprint. As I said before, it would be a good idea to upgrade your Crafting Table to World Tier 4, otherwise, it will be a bit redundant. 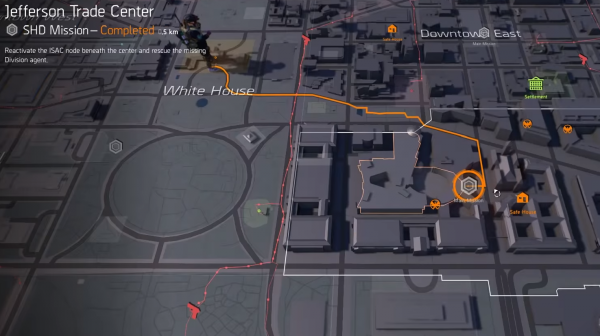 More tips and tricks, check out our The Division 2 guide. 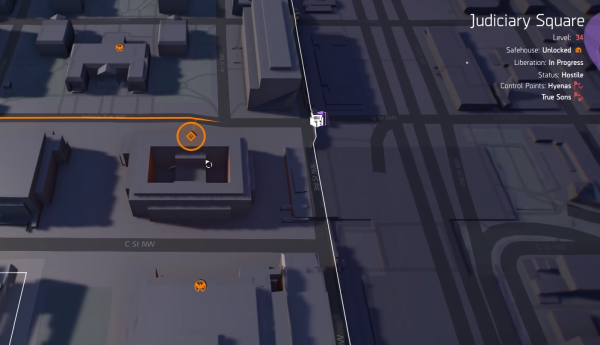 The post The Division 2: how to get The Chatterbox Exotic SMG appeared first on VG247.